Egyptian President Abdel Fattah Al-Sisi attended Christmas Mass for the third year running where he vowed to build the largest church and mosque in Egypt. Announcing that he has donated EGP 100,000 towards the project, the Egyptian President said that the church and mosque would be built in Egypt’s new capital city by 2018. The President said that the opening of the largest church and mosque will be celebrated next year to mark, adding that the occasion would coincide with 50 years since the construction of St Mark’s Cathedral in Cairo. While the church and mosque are set to be Egypt’s largest, the Egyptian President said he has not forgotten about his earlier promise to rebuild all churches that were badly damaged or destroyed following the ouster of former President Mohammed Morsi. “Last year, we said we were late to renovate churches that were damaged three years ago,” admitted Sisi, adding that the Pope did not broach the subject despite his right to do so. 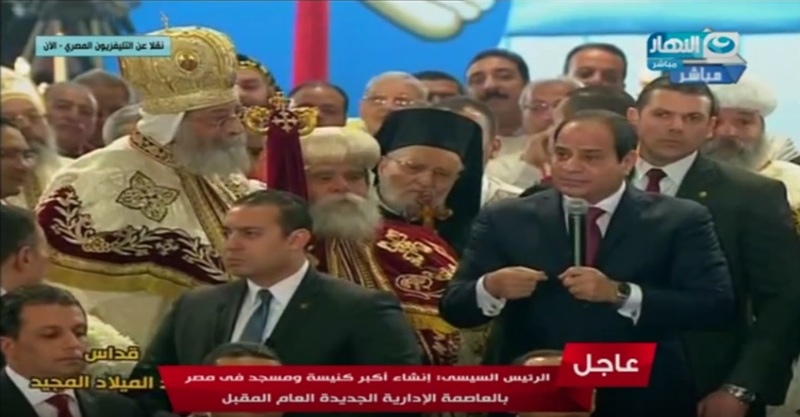 Speaking alongside Pope Tawadros II, President Sisi expressed his apologies for delays in rebuilding the churches. The Egyptian President said that just two churches, one in Minya and one in El-Arish, are yet to be renovated. Works on those two churches are set to be completed in two weeks, announced President Sisi. 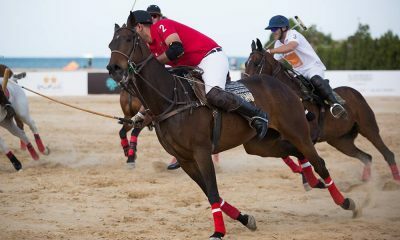 All others, the Egyptian President said, have been renovated or rebuilt. While the Egyptian President’s attendance came after a deadly suicide bombing at St Mark’s Cathedral in December killed 28 people, he was warmly received by those attending the Christmas Mass. 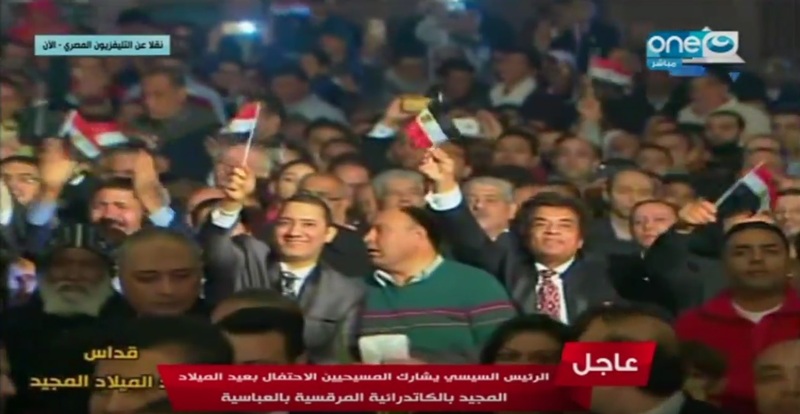 “Hopefully a happy new year comes to us all,” said President Sisi as he commenced his speech as attendees waved small Egyptian flags and shouted in his support. “We are one,” continued President Sisi. “Egypt, God willing, will see light from us all to teach people [across the world] love, peace, security and prosperity,” said Sisi, adding that this is only possible if Egyptians stand united and treat each other with respect and loyalty. “Ugliness has no place here. Only beauty has a place among us. We here, in our country, will serve this, peace and good, to the whole world,” said Sisi, rebuking anyone who criticized him for marking Christmas at the Cathedral in Cairo. “I am here in a house of God, and I say please God, keep Egypt safe,” said Sisi, ending his speech. In 2015, President Sisi became the first Egyptian President to attend Christmas Mass.